AnandSoft.com Releases Updated Cisco® CCENT™ Android App. Android Apps Comments Off on AnandSoft.com Releases Updated Cisco® CCENT™ Android App. Anandsoft.com Released CCENT android app for mobile users. The free android sim will have 60 questions with answers and flash cards. Additional tests may be purchased, if required. Disclaimer: AnandSoft.com is not associated with Cisco® Systems and CCENT™, CCNA™ are the trademarks of Cisco® and duly acknowledged. OSPF (single area) and other OSPF topics were moved into ICND2 . Note that RIP which was removed during the previous version of CCNA/ICND has been re-introduced. RIP v2 has been included but not RIPng. Dual Stack was removed ( there are many different IPv4 to IPv6 transition technologies). Not sure as to why this was removed. It was a very useful top in CCNA. Cisco Express Forwarding (CEF) has been removed. Again, not sure as to why this was removed. Description of collapsed core architecture compared to traditional three-tier architectures in Enterprise LAN environment. Configure and verify IPv6 Stateless Address Auto Configuration (SLAAC). Added Anycast to the list of IPv6 addressing types. Knowledge of Link Layer Discovery Protocol (LLDP). RIPv2 for IPv4 has been re-introduced. Added requirements to understand DNS and DHCP related connectivity issues. Interpretation of Syslog message logging for network device monitoring. On the whole, there have been several changes in the new ICND exams. The old exam has already been retired and no more available. – Several CCENT Lab exercises for hands-on practice. – Network designer with drag and drop feature for inserting devices and connectors. GUI based device configurator. Support short form commands. Enter short form commands in IOS simulator just like in actual router/switch. 2. LAN Switching Technologies – Configure VLAN and trunking networks using Cisco switches. Services to meet network requirements in a medium-size Enterprise branch office network. 5. IP Services – Configure and verify DHCP (IOS Router), Access Control Lists, and Network Address Translation. 6. Network Device Security – Configure and verify Switch Port Security features. Configure and verify network device security features such as physical security, password security, and authentication. 7. Troubleshooting – Resolve VLAN and trunking problems in Cisco switches. Troubleshoot ACL issues and Resolve Layer 1 problems. Disclaimer: CertExams.com is neither associated nor affiliated with Cisco Systems(R) or any other Company. All trademarks are duly recognized. SimulationExams.com, a leading practice tests provider, released practice tests for CCENT 100-101 (2013 Objectives). 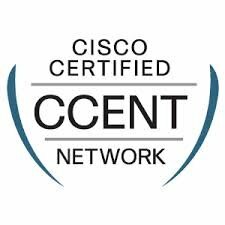 The new CCENT cert objectives include NAT (Network Address Translation), ACL (Access Control Lists), and VLSM. T The exam topics for CCENT 100-101 include IP addressing (both IPv4 and IPv6), Switch networking using VLANs and VTP, traffic control using ACLs, and NAT. Detailed objectives may found at here. Notable difference between the older objectives and the new are that the later includes VLSM, ACLs, and NAT. Earlier, these topics were part of ICND2 exam. 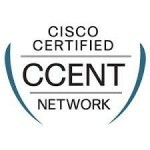 It may be noted that Cisco has updated its CCNA track of exams recently. CCNA has been renamed as CCNA Routing and Switching. For obtaining CCNA R&S, one needs to pass two exams, 1) CCENT 100-101, and ICND2 (200-101). One can also take the CCNA R and S exam directly by passing CCNA 200-120 exam. Please be aware that there is significant difference between the old CCNA topics and the new 200-120 topics. Several of CCNP topics have been added to CCNA. These include router redundancy protocols, STP operating, etc. Older versions 640-822 CCENT, 640-816 ICND2, and 642-801 CCNA will retire by 30th September 2013, and are still available. Disclaimer: SimulationExams.com is not associated with Cisco Systems and all trademarks are duly acknowledged.